Launchpad couldn't import bug #170453 from GNOME Bug Tracker. channels are now rearranged in two panels : "Playback" and "Capture". 3 channels. Master, Line-in (for the TV card), and PCM (for everything else). in, so that people can rearragne this in the way that suits them best. > channels are now rearranged in two panels : "Playback" and "Capture". 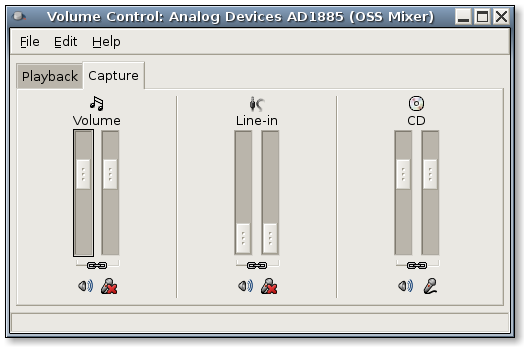 situation with most of the user soundcard. I doubt that the first one is better for standard users. soundcard do you have ? 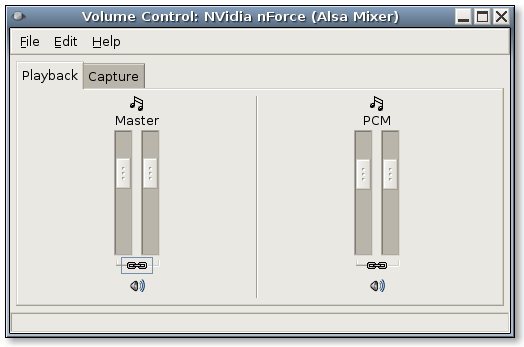 > situation with most of the user soundcard. > I doubt that the first one is better for standard users. would probably like to have everything on the same panel as well ? 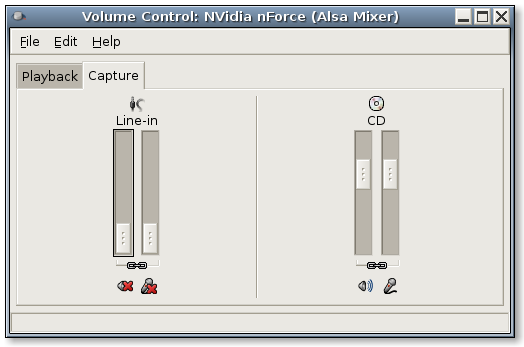 > Could you provide a screenshot of both tab for the alsa and oss mixers ? is ? Hence the need to be able to force it to arrange them the way the user wants. > What soundcard do you have ? > would probably like to have everything on the same panel as well ? The split between input and output channels makes sense imho. > The split between input and output channels makes sense imho. "playback" TV sounds, and don't use it to actually record/cpature anything. it in conjunction with the other channels to adjust sound playback just right. But Master is on the Capture panel again. 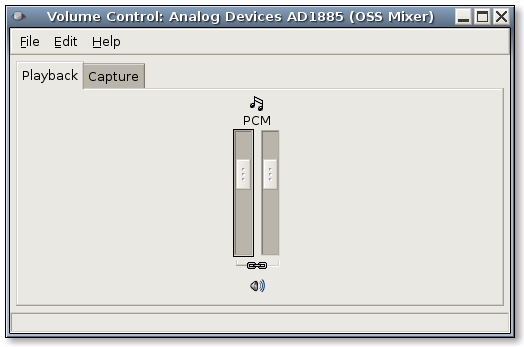 would need to PCM thing to be in the Capture panel as well. capable of), was the best compromise. channels that DO NOT have a dual purpose. FOr example "Mic" or "Speaker". > > an onboard audio chipset is also a soundcard. controller card, and the TV tuner card. > Can you get the exact reference with lspci ? > "playback" TV sounds, and don't use it to actually record/cpature anything. > capable of), was the best compromise. to do without complicating the UI and the code. on the CD one, a TV viewer on the line use for the TV, etc). than if I use "chip" some user will ask what a chip is. thanks, now I've enough informations to talk with the upstreams about the issue. > to do without complicating the UI and the code. time and effort to implement, unlike bugs, that need sorting asap. > BTW I'm not sure than your usecase is the standard one. there available somewhere, it's all that matters. > on the CD one, a TV viewer on the line use for the TV, etc).